Blue Christmas Pine Branches PSD Background - Free Photoshop Brushes at Brusheezy! 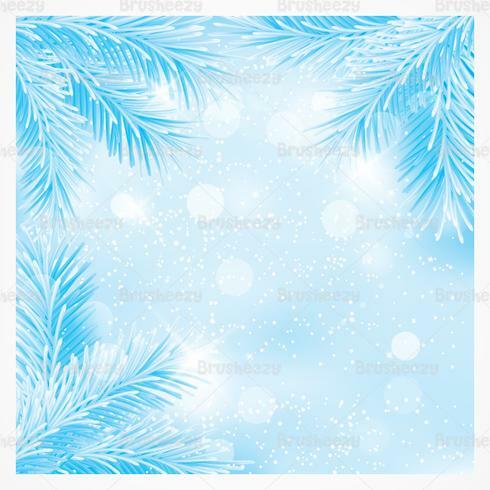 Step into a winter wonderland with this new Blue Christmas Pine Branches PSD Background! This beautiful pine branches PSD background is filled to the brim with frosted branches and a blue bokeh background. Use this pine branches PSD to bring your work some holiday joy and then check out the <a href="http://www.vecteezy.com/holiday-seasonal/59532-blue-christmas-pine-branches-vector-background/premium">Blue Christmas Pine Branches Vector</a> over on Vecteezy!